Being in the midsize sedan car category is tough. There are a huge number of competitors that you are constantly trying to be better than. Which makes being one of the most popular vehicles in the midsize sedan category even more impressive. But that is exactly what the folks at Kia have done with the newly refined 2015 Kia Optima in High Point NC. 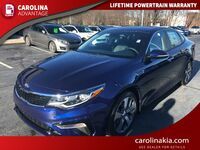 The 2015 Kia Optima available at Carolina Kia in three different trims, the LX, the EX, and the SX Turbo. Each of them offers their own selection of features and benefits, but what each has in common is the Optima’s spacious interior. The 2015 Kia Optima features 102.2 cubic feet of passenger volume that ensures everyone who hops in will have plenty of room. In addition, the Kia saves plenty of space in the trunk with 15.4 cubic feet of cargo volume. Interested in a 2015 Kia Optima? 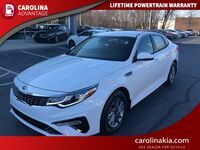 When you get into a 2015 Kia Optima, the first thing you will notice is how outstanding all of the interior features are. 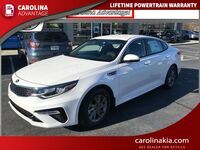 The base model Optima comes standard with a 6-speaker AM/FM/MP3/SiriusXM audio system, Bluetooth technology, steering wheel-mounted controls, remote keyless entry, and power windows and doors. The higher trim Kia Optima EX and SX Turbo offer even more features that both drivers and passengers can enjoy. These include options like dual-zone climate control system, leather seats, UVO eServices infotainment system, an Infinity Surround Sound System, back-up warning system, voice command navigation, and more. With three different trims to choose from, you can also decide what kind of engine you want under the hood. With the LX and EX trims, the Kia Optima comes equipped with a 192-horsepower, 2.4-liter I-4. 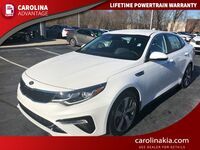 This helps the Optima achieve phenomenal fuel-economy, with an EPA estimated 23-mpg city, and 34-mpg highway rating. Where the 2015 Kia Optima can get really exciting, though, is with the SX Turbo trim. 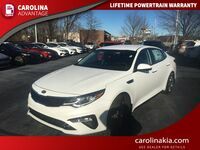 This feisty Optima is packed with a 2.0-liter, turbocharged I-4 engine that produces 274-horsepower and 269 pound-feet of torque. 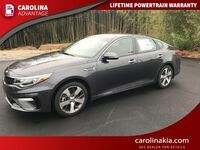 Equipped with Kia’s electronically controlled 6-speed transmission with Sportmatic, this is an exciting vehicle for anyone who gets behind the wheel.